Before World War II, through editor Suikodo Shoten, he published a large number of collections of graphic works. But this period, though at the height of his career, was interrupted by the hostilities. After the war, he was active as a writer in the <i>castori</i> magazines such as <i>Ningen Tankyu</i>, <i>Kitan Club</i> and <i>Fuzoku Zoshi</i>. 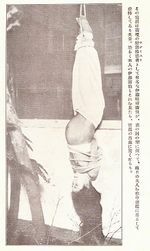 In addition, he organized frequent photo sessions and the resulting photos can be seen as “photos in the Seiyu way” in magazines such as <i>Fuzoku Zoshi</i>, <i>Fuzoku Kitan</i> and <i>Uramado</i>. During the Taisho period (1912-1926) he established theater groups whose plays centered on torture scenes and, in 1953, he started the <i>Seme no Gekidan</i> (Torture Theater Group) which performed at Ichikawa Suzumoto theater in Tokyo and others.